Sitting on a 5 acre plot of land in an older neighborhood, the Highland Plaza United Methodist Preschool (a ministry of Hixson United Methodist Church) in Chattanooga, Tennessee enjoys a hilly, thickly wooded lot. Over the past year, the preschool has worked to transform and expand their playground into a beautiful natural space for children’s play. 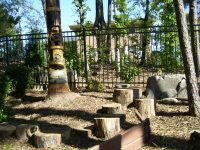 The preschool has used well-known landmarks in Chattanooga and the surrounding area as inspiration for incorporating different kinds of activities into their outdoor classroom. Some of the names that have been included are: Lake Chickamauga, Waterfront Cannons, Lookout Mountain, Walnut Street Bridge, McClellan Island, Coolidge Park Carousel, Tennessee Aquarium, River Bend Amphitheater, Chattanooga Symphony and Point Park pathway. Allowing for a wide latitude of interpretation, Highland was able to keep true to their desire to celebrate the community, as well as include all of the recommended areas and many of the supplemental areas needed for certification. Divided between an upper and lower playscape, each space contains an abundance of areas to explore, observe and strengthen skills in learning and relationships. 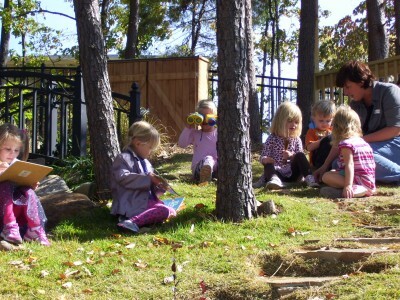 The classroom space includes a big, friendly hill to climb, run, roll or slide down. 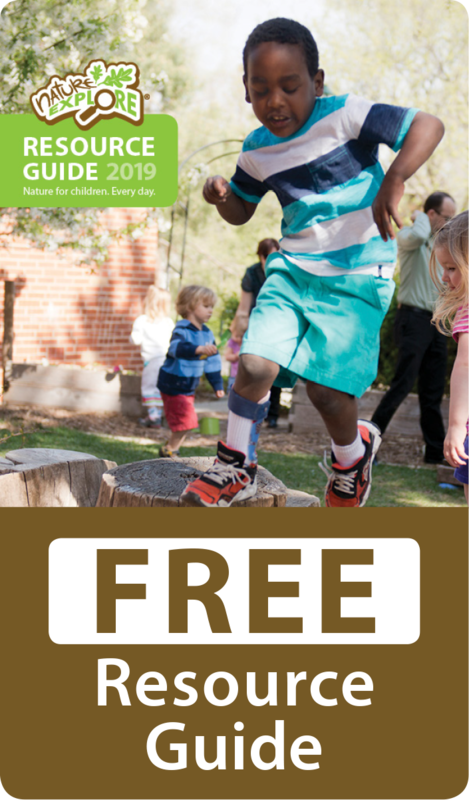 With a large tree trunk section placed in the climbing area, children can combine climbing and fantasy as they might imagine riding the famed Chattanooga ChooChoo, hopping on the spiny back of a dragon, or whatever else they might dream. Artists have also helped to make this Nature Explore Classroom special. The trunk of a tree, blown over in a storm, was carved by a local chainsaw artist. Designs for the piece were chosen by the children from a list of animals native to Tennessee. 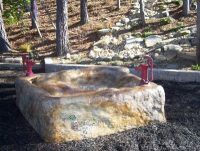 A concrete artist created a “naturalized” water table that looks like a carved boulder complete with imprinted fossils and beautiful variation in coloring that imitates natural rock. An Eagle Scout is blazing a 400′ hiking trail through the preschool for his Eagle Scout project. A book was designed to illustrate the children exploring and discovering in the outdoor environment. There are people from all over the region requesting tours of the Nature Explore Classroom. Everyone who visits the playscape would like to stay and play. Teachers now find reasons to take their studies outside instead of staying in.